While the Tax Cuts and Jobs Act (TCJA) failed to address the taxation of digital assets (hereinafter “crypto”) directly, the TCJA did indirectly close the loop on one of the biggest questions among the crypto community: Does the exchange of one coin/token for another coin/token constitute a 1031 exchange enabling the taxpayer to defer gain? By limiting 1031 exchanges to only real property, the answer, at least for 2018 and beyond, is certainly NO. However, the discussion surrounding a “Crypto 1031” has been one of my favorite tax topics of the past year so I want to address the issue and put forth some analysis and interpretation of the law as I see it. Furthermore, at this time of year, taxpayer’s and their professionals are keenly focused on 2017 filings, the last tax year in which a “Crypto 1031” could hypothetically even apply. Both properties must be held for use in a trade or business or for investment. Property used primarily for personal use, like a primary residence or a second/vacation home, does not qualify for like-kind exchange treatment. Both properties must be similar enough to qualify as “like-kind.” Like-kind property is property of the same nature, character or class. Quality or grade does not matter. Most real estate will be like-kind to other real estate. For example, real property that is improved with a residential rental house is like-kind to vacant land. However, real estate within the United States is not like-kind to property outside of the United States. Also, improvements that are conveyed without land are not of like kind to land. Prior to the TCJA, real property and personal property both qualified under Section 1031; but real property could never be like-kind to personal property. In personal property exchanges, which included both tangible property and intangibles, the rules pertaining to what qualifies as like-kind were also significantly more restrictive than the rules pertaining to real property. For example, cars are not like-kind to trucks. Additionally, like-kind exchanges of artwork are thought to have an even more stringent standard, such that an oil painting was not like-kind to watercolor, so trying to claim any painting as like-kind to a sculpture is nearly impossible. As you know if you read my post on the basics of crypto taxation, IRS Notice 2014-21 defined crypto as property. 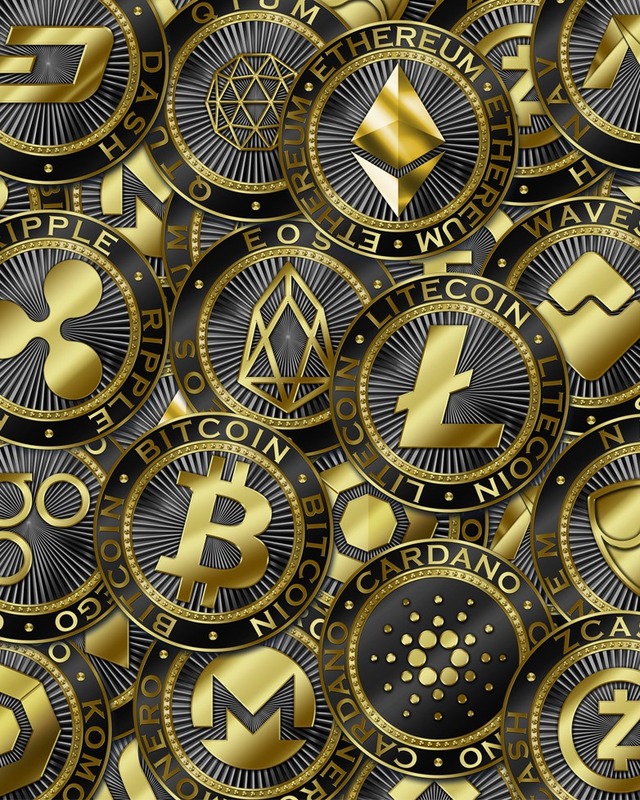 This combined with the IRS’ failure to define crypto as stock or securities does not exclude crypto from 1031 per the above—resulting in many wondering if a crypto 1031 was possible. Internal Revenue Code Section 1031, along with IRS regulations, revenue rulings & private letter rulings all indicated that a wide reading of the definition “like-kind” was available solely to real estate. In terms of personal property such as artwork or automobiles, the rules were far stricter, perhaps even draconian in cases. However, what should the rule be for crypto? This is a very tricky analysis and can probably be argued somewhat coherently in either direction. As of this writing, according to coinmarketcap.com, there are 1,578 coins and tokens “trading”. Many of these cryptos actually intend to do similar things or accomplish like-kind goals. Take coins with an intended purpose of providing private transactions as one example. In that space, there are Monero (XMR), Verge (XVG), ZCash (ZEC), ZClassic (ZCL), ZCoin (XZC), Sumokoin (SUMO), just to name a few. Shouldn’t an exchange of these coins be considered “like-kind”? Well, that is tough to say. Both ZCL and SUMO are Hard Forks from other coins (ZEC and XMR respectively), and the developers running ZCL and SUMO would tell you how they very specifically changed a bunch of stuff from the original coin that they either didn’t like, or thought needed an upgrade. While perhaps the protocol and code behind these tokens have many common elements, the developers probably want to let the differentiations be the focal point of their tokens, not the similarities to an old token they split from or upgraded. This is just an example with a limited set of privacy coins. Imagine instead trying to claim like-kind status between coins such as NEO–a decentralize app platform based out of China, which uses the delegated Byzantine Fault Tolerance consensus mechanism to confirm its blockchain—and IOTA—a coin attempting to be the backbone of the machine economy, which technically is built upon “Tangle” and is not even a blockchain! The permutations here could go on-and-on. The IRS decided that an expansive definition of “like-kind” was available to real estate. They did not afford a similar luxury to personal property, and as you’ve seen, sometimes make the standard exceptionally narrow. While the IRS never gave guidance regarding digital assets, my personal opinion is that a conservative and very narrow approach is warranted, and would not advise clients to claim crypto-to-crypto transactions as a 1031 exchange. One final point on the compliance of 1031 exchanges that many are not taking into account. When a taxpayer engages (or purports to engage) in a 1031 transaction, it necessitates the filing for Form 8824 with their tax return. Accordingly, although the taxpayer may not be recognizing gain, they need to give all the facts to the IRS and shine a bright light on what they did. Furthermore, practitioners can tell you that this form is complicated enough when there is a one for one exchange, and exponentially more so when multiple properties are exchanged. Imagining a taxpayer filing this form to show thousands (or perhaps millions) of transactions in a year is somewhat comical in this tax professional’s opinion. Even though this post will not apply to 2018 and beyond, I hope it was an interesting read. Thanks for sticking with me this time; I know it was a long one.